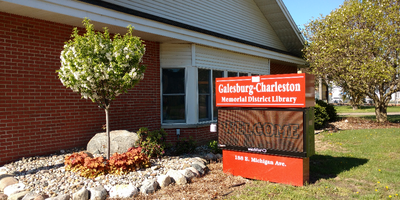 Libraries in Galesburg, Comstock, Climax and Augusta invite you to “hop” over for a visit during the month of April. For the second year, these libraries have joined with fifteen other community libraries to offer a variety of activities and exhibits throughout the month. On Saturday, April 7 and Saturday, April 21, the Galesburg library, at 188 E. Michigan Avenue, offers the opportunity for visitors to create handmade greeting cards. Local expert, Kathy Crow, brings everything that you need to create stunning and unique stamped cards – for a birthday, graduation, shower or other special occasion. Materials will be available from 10:30 am – 1:30 pm. both days. Visitors will also have an opportunity to view a collection of handmade crocheted lace and visit the Galesburg Historical Museum, which is open from 10:00 am – 2:00 pm on Saturdays. So grab your “passport” from your participating local library and explore a world of experiences, just around the corner. For more information, call your local library or visit www.libraryhop.org.